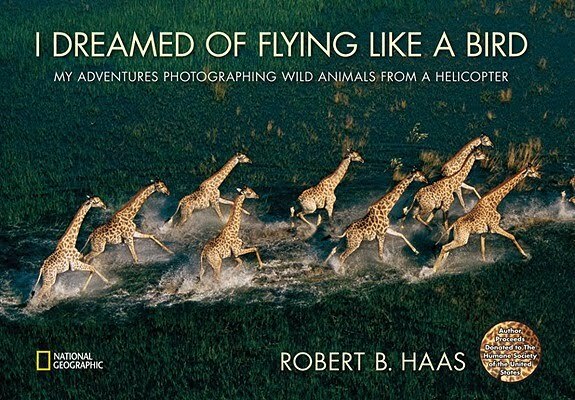 I Dreamed of Flying Like a Bird: My Adventures Photographing Wild Animals from a Helicopter by Robert B. Haas. (Grades 3 and up with browsing appeal for younger kids, too.) National Geographic Kids, September 2010. 64 pages. Review copy provided by publisher. 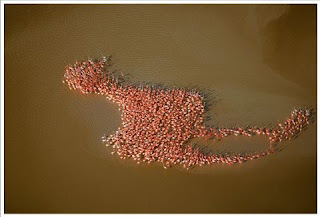 Join photographer Robert Haas as he flies through the air taking photographs of all kinds of animals. Haas travels the world, braving the freezing temperatures at high altitudes and the risk of falling to his death as he leans out of the helicopter, taking thousands of photos in search of the perfect shot. This is just one of the many stunning images included in I Dreamed of Flying Like a Bird. Haas gives kids information about his career and his adventures as he displays some of his most fabulous photographs. The great strength of this book is definitely the photos. I mean, seriously - just show the above photo to a group of kids and you can be sure they'll be clamoring to page through it. Haas also demonstrates a great respect for the natural world and a passion for preserving it. Young animal lovers will find much inspiration in the pages of this book. I do wish that the author had included more information on the technical aspects of his career - photos showing the equipment he uses would have been nice, as would a "day in the life"-type description of what exactly he does. I realize that an aerial photographer's days are probably each very different, but I'm curious as to what one day would be like! The focus here is definitely on adventures, which is something that kids will enjoy. I think this is a book that'll serve a wide range of ages. Kids who aren't quite reading well enough to absorb all the text will still enjoy the photos and I think even middle school kids might be inspired to start taking photos of their own. Hand this to kids who love Ranger Rick and National Geographic Kids magazines and any kids who love nature. I Dreamed of Flying Like a Bird will be on shelves September 14. Happy Nonfiction Monday! Check out the roundup at Apples With Many Seeds.